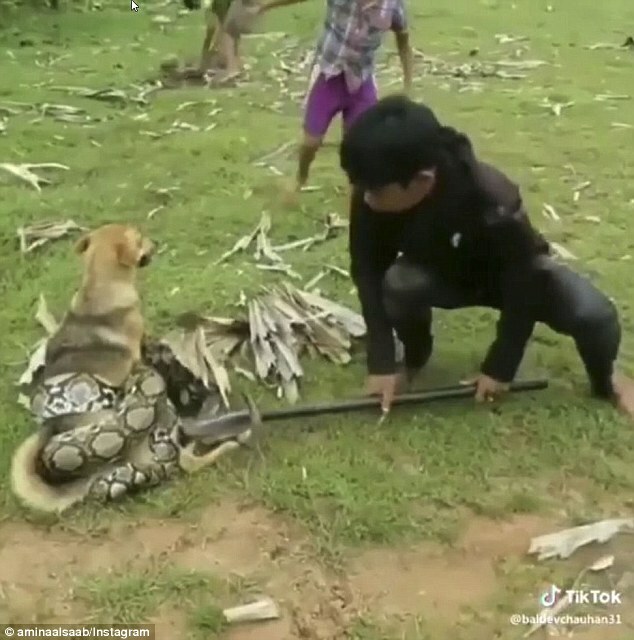 This is the moment three young boys bravely take on a huge snake which had wrapped itself around the lower body and hind legs of their pet dog. 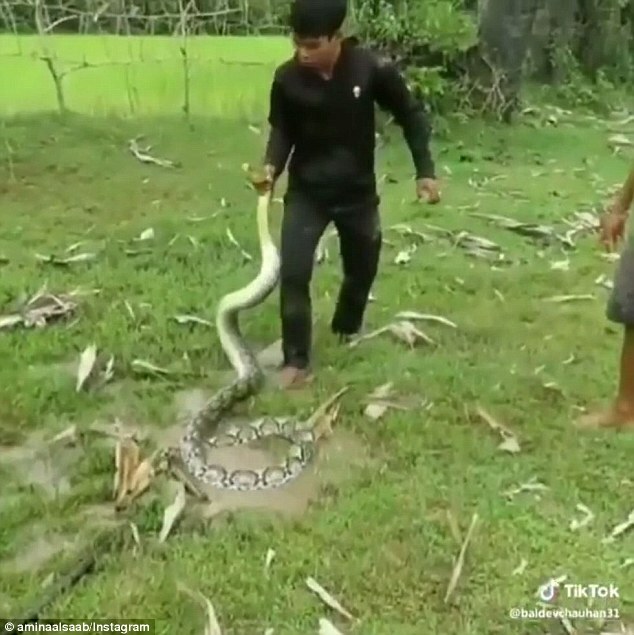 A video shows the older boy attempting to pin the snake’s head to the grass with what appears to be a metal table leg as the two younger lads attempt to force the snake to loosen its vice-like grip on their pooch by hurling large leaves at it. The dog appears more dazed than distressed while its human companions do battle with the reptile. The older boy uses the pole to force the snake’s head to the ground while his two companions attempt to unravel the serpent, a task that at first appears exceedingly difficult. 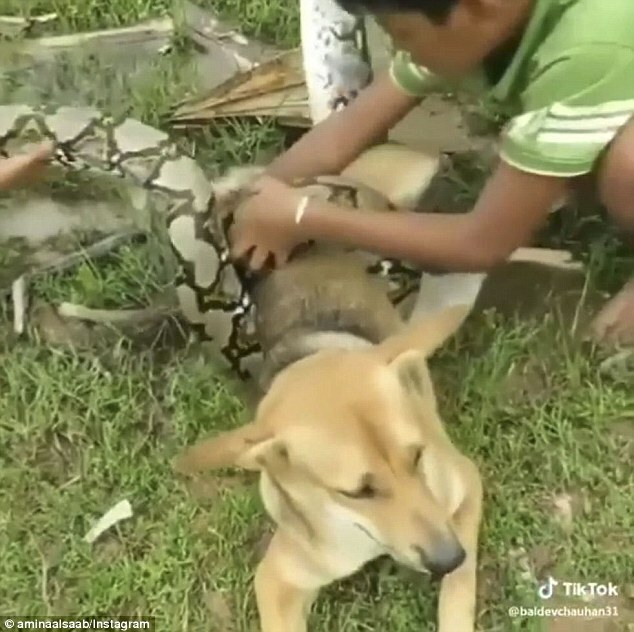 The boys turn the dog’s body from side to side to help throw off the snake but only manage to tear part of the serpent away from their dog. They then grab the snake by both ends, pulling in opposite directions to eventually weaken the its hold long enough for the dog to skip free. The canine appeared unhurt by the assault.